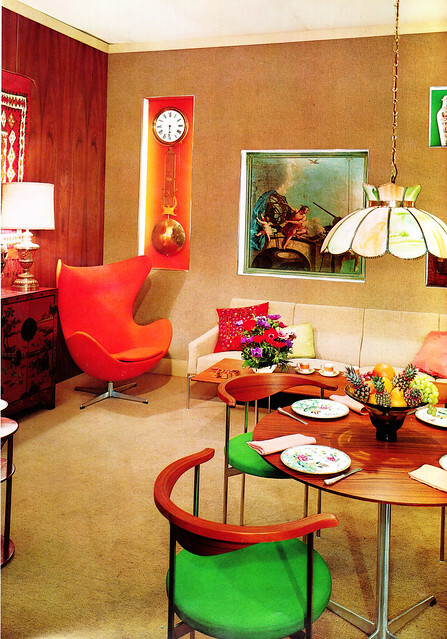 I came across this wonderful book featuring tons of vibrant full color photos of some amazing homes that would make a 1960s housewife swoon. 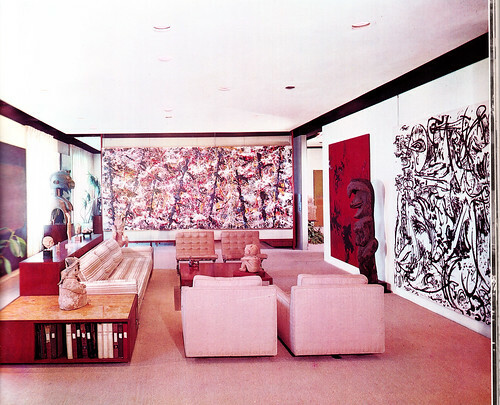 The interiors would be right at home in Mad Men Season 5. 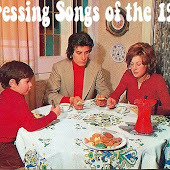 It's that strange period between the traditional and battleship grey (1950s - early 60s) and the infamous marijuana-flavored 1970s style. It was the perfect blend of classic meets psychedelic, mainstream meets counter-culture. At this moment the American household is probably the most colorful in the world, Latin America and Southeast Asia notwithstanding.... In a country once starved for color, there is now such an embarras de richesse that we must inevitably revert, for a time at least, to a less heady and more balanced diet. With the experience of twenty years behind us, it is unlikely that we will ever again go on the all-out uninhibited color sprees of the past. What a spot-on prediction! 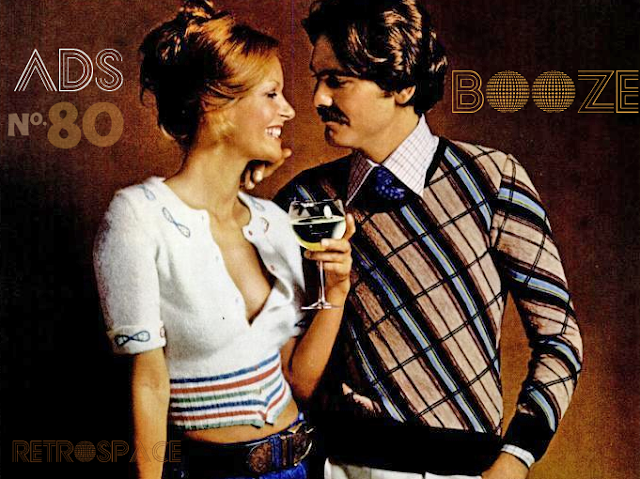 In the 70s, any semblance of elegance, lavishness or ostentatious was verboten. 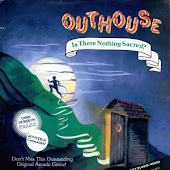 Things got earthy, simple and homey while the space-age rainbow of the preceding decade was left behind. 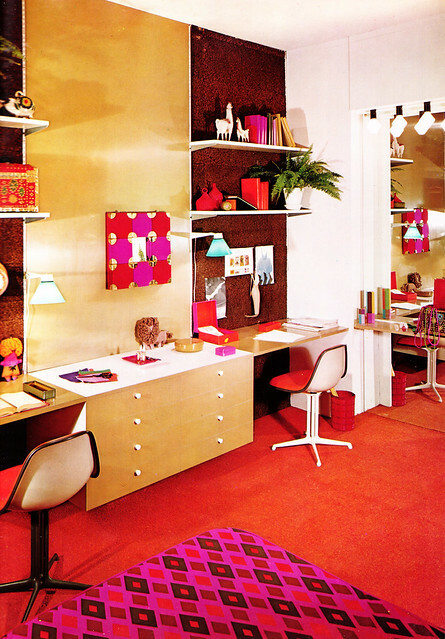 I like the 70s decor; but, I must admit, the shagadelic groove of the mid-60s ain't too shabby either. 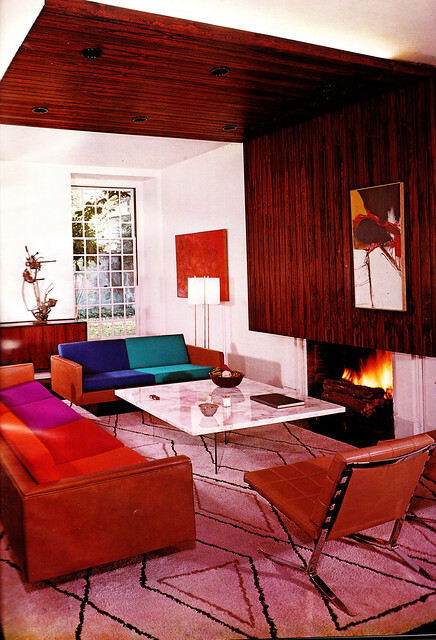 Decoration U.S.A. (1965) captures that vibe perfectly. 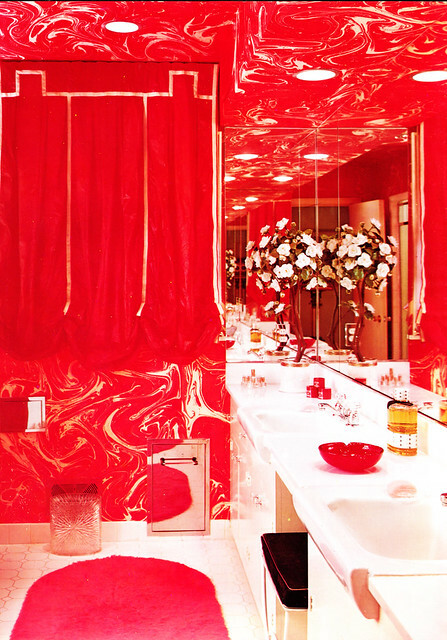 From the book: "No one nowadays would blink an eyelash at a bathroom like [the one above] with its riot of red and white marbleized paper, its red rug and curtains and its white tile floor and lavatories - for white is still needed to keep color in its place." Thanks for posting these. 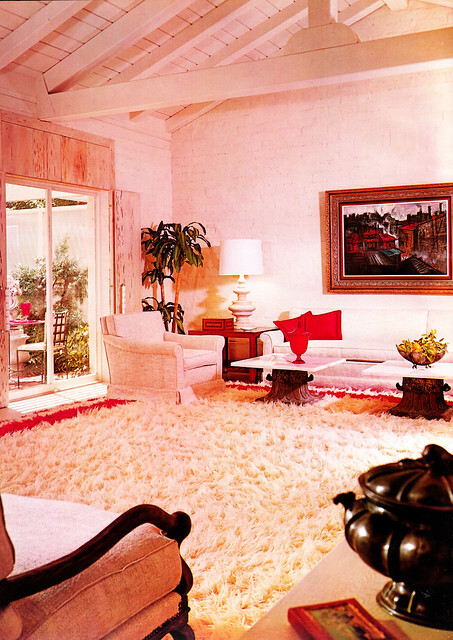 I love the use of colour in the 60s and 70s and I just want to flounce about on that shag rug. That is one trippin' balls bathroom! Do not stagger in there drunk on new year's eve. I like the last pic best! If that doesn't say "Bachelor Pad" I don't know what does! I've got a similar book but I think it's more early 70's. Tim, I know what you mean. I may not be an interior decorator but I do never to paint a bathroom red or put up red wallpaper. 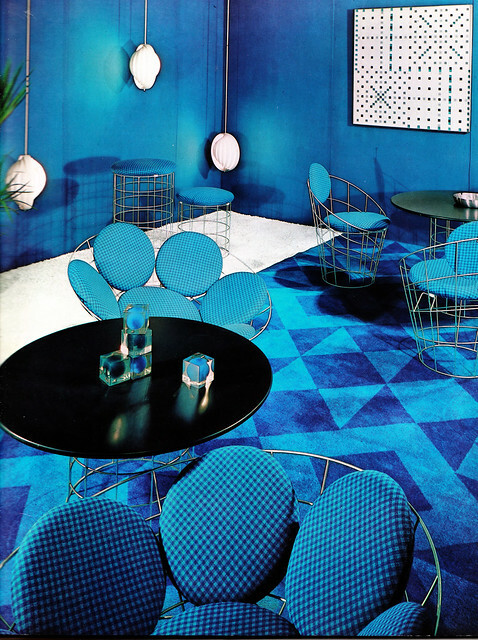 I used to have one of those circular bubble chairs (from the blue room) but it was wicker. I couldn't help but "blink an eyelash" at that bathroom! I could live in these rooms! Wow! Those are really cool rooms!! I adore vintage!! 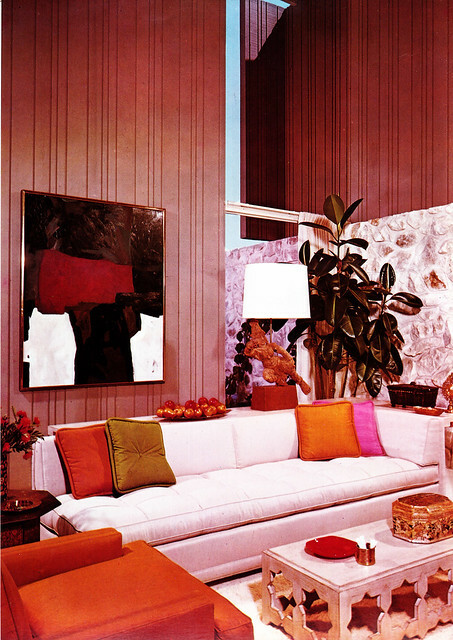 I have the wonderful 1975 version of "Decorating American Style" and am about to blog it! One of my fave books!! The red bathroom and blue hang out lounge are to die for! I can’t wait to get a hold of those colors and splash them some area at home. I do love red and blue and am very much willing to paint them all over my house. 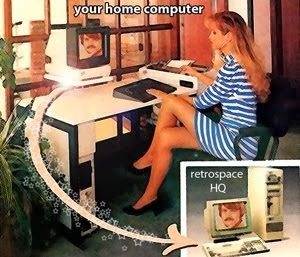 Thanks for this “retrofying” post. 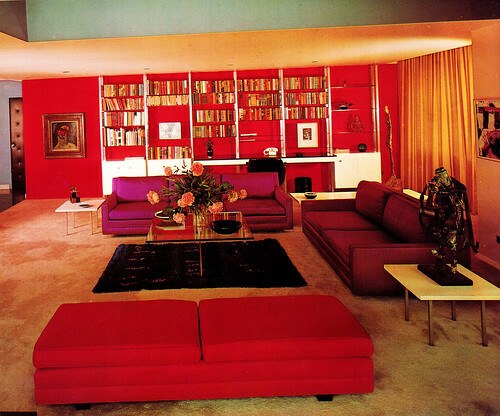 The fist photo - the red room - I have those same colors in my house (but with bright yellow walls) - I even have the bright red sofa.